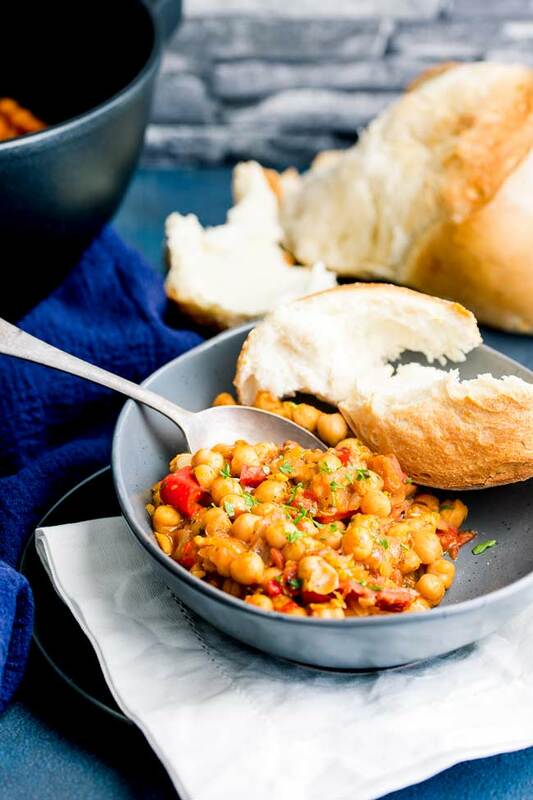 This Tomato and Chickpea Stew is low fat, gluten free and vegan. It is also packed full of fresh Italian flavors. The rich tomato, sweet onions and plenty of Italian herbs, make this stew a delicious yet simple dinner idea. 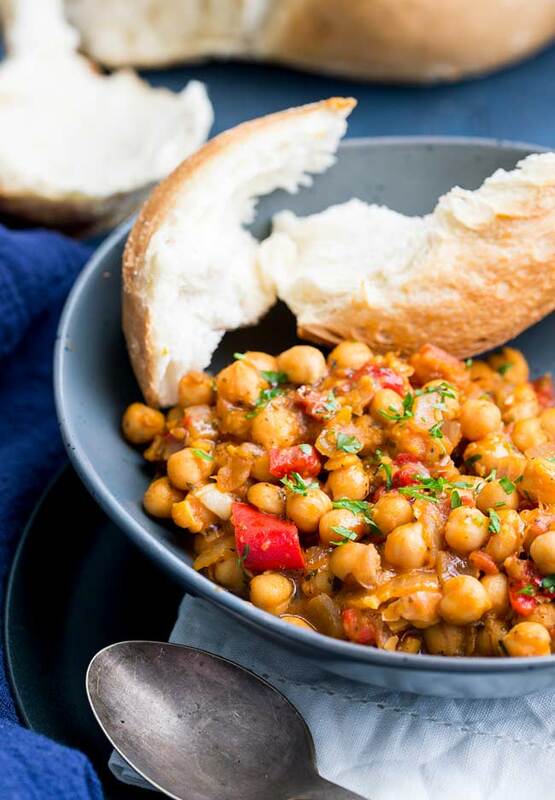 This chickpea stew is perfect for when you are having vegetarian (or vegan) friends for dinner. You can serve it in a bowl with some crusty bread, serve it over rice or add a grilled chicken breast for your non-vegetarian guests. It works with meaty fish like tuna or swordfish. But it is delicious on it’s own. 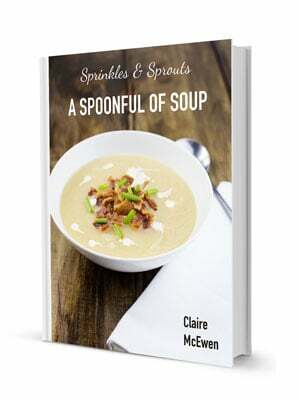 Really it is an all round winning dish! Where do I file it? Main…Side? Who knows!!!!! We tend to eat it on Meatfree Monday so I am keeping it as a easy main dish, but I promise as a side it is sooooo good. 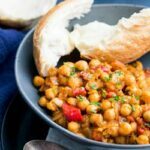 This tomato and chickpea stew is so easy! There really is very little I need to say about the recipe prep, once you have chopped the veg, the stew bubbles away gently for just 30 minutes! It has a rich deep flavor that belies the quick cook time. The key to this depth of flavor is the addition of sun-dried tomatoes. They are jam packed full of flavor! Don’t skip them, promise me 😉 they are the secret weapon here! Whilst we are on sun-dried tomatoes, if you buy the ones in oil then make sure you use the oil from the jar to fry off the onions. That is extra flavor right there!!! Of course a meal wouldn’t be complete without something yum to start! For a vegetarian option I’d suggest something to start like my Rosemary Pineapple Mozzarella Bites or Feta and Honey Bites, both perfect for serving with drinks before a meal or if you are serving vegans then try these cauliflower and rice balls from Lord Byrons Kitchen, perhaps drizzled with some sticky balsamic syrup. Try my roast peaches with rosemary (served with cream) or for vegans try these Vegan Mini Pavlovas from The Cooks Pyjamas. Pour the oil into a large pan and set over a medium/low heat. Add the onions and cook for 5 minutes until soft and translucent. Whilst the onions are cooking, chop the garlic, bell pepper tomato and sun-dried tomatoes. Add the chopped veg to the onions and cook for a further minute. Drain and rinse the chickpeas and add them to the pan along with the dried parsley, basil, oregano, salt and pepper. Add the tomato paste and vegetable stock, bring to a simmer then cover and cook for 20 minutes over a low heat. Remove the lid and increase the heat. Cook the stew for 10 minutes until thickened. Use a potato masher to break down some of the chickpeas then serve garnished with fresh parsley. Leftovers are great, spiked with chilli and topped with a fried egg, okay so that stops it being vegan….but that is okay unless your guest are staying for breakfast……………………….. 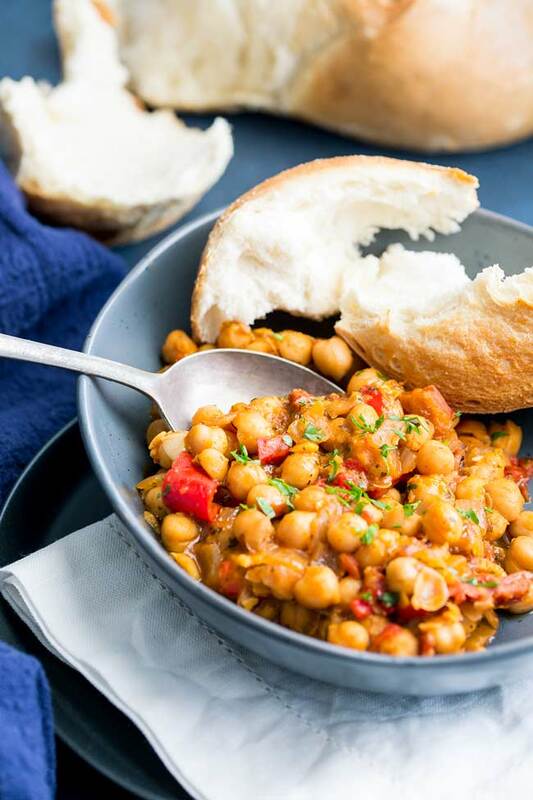 If you love food why not subscribe to my newsletter, I will drop you an email every now and then, just to say hi and send you a couple of recipes think you might love, like this Italian Inspired Tomato and Chickpea Stew. I’m so late to the game when it comes to chickpeas but I love them and I know I’ll love this stew! 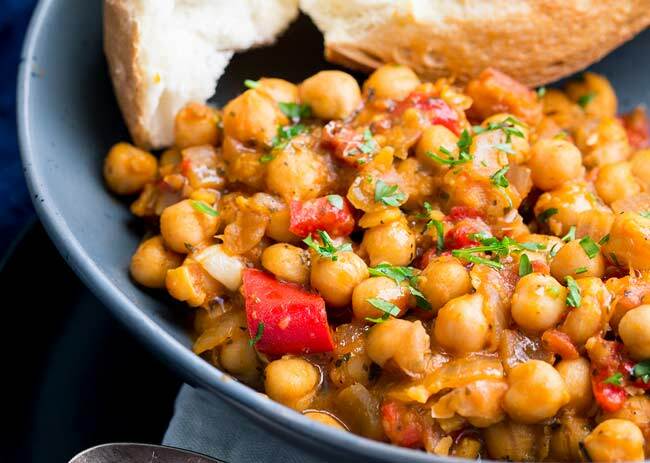 It is great for a mid week meal, and chickpeas are so handy to have in the cupboard. Oh I absolutely love chick pea stew. I’ve never made it “Italian” style – which sounds AMAZING! I can’t wait to try this one. Chickpeas are just the perfect pulse for this as they soak up all the flavors and yet hold their shape. Hehe! I hear you. Cheese is just so good! This looks so delicious and easy peasy to make. I love the addition of Italian flavors n would try this recipe soon. It really is easy and takes so little time even though it is packed with flavor! Such a winning combination. Love chickpeas, love Italian flavors. So I totally see myself trying this. yumm! The perfect dinner! Love everything about this stew.